The Half Stone was created as a wet fly. It was fished as an emerging dun and has since proved to be an excellent fly for the west country rivers, especially Devonshire streams. It is at its best at the beginning of the season. The named it is thought came from the half of the body matching in colour to the stone fly. Tail : Blue dun hackle fibres. Body : Natural horse hair. Thorax : Blue fur, mole. Hackle : Blue dun hackle. The Blue Dun hackle is palmered over the thorax to the eye. Alternative for the body is yellow or cream floss. 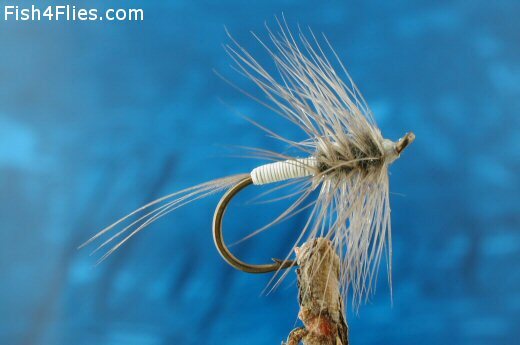 Partridge L3B Captain Hamilton Dry Fly Up Eye. Currently there are no comments about the Half Stone fly pattern from other fly fishermen yet.